GoDataFeed is integrated with AmeriCommerce to provide seamless imports and updates from AmeriCommerce to GoDataFeed. This allows you to continue managing your product data on AmeriCommerce while GoDataFeed automatically retrieves the latest changes on a daily basis. Give the user group a name. The name can be almost anything, but "GoDataFeed" would be a good choice. 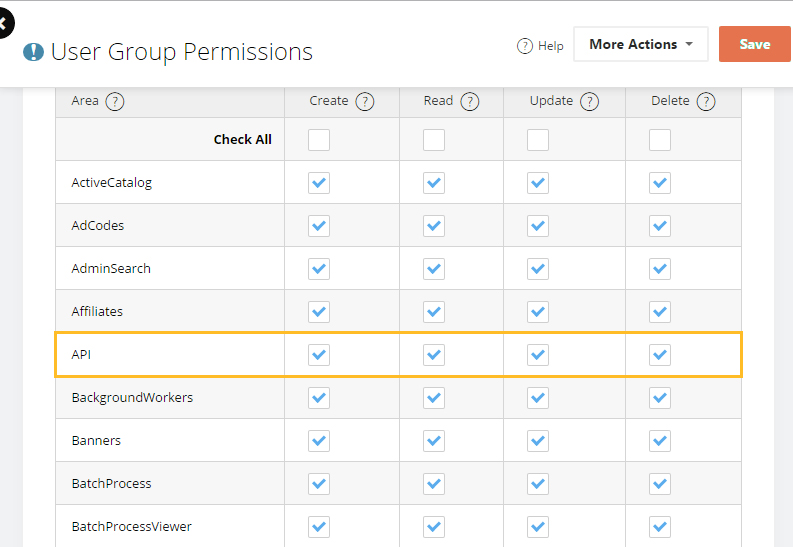 In the permissions grid, go ahead and check all four boxes for API. Click New (optionally edit an existing user account). Give the user account a username, email address (support@godatafeed.com), and password*. These are required. In the 'Member Of' grid, place a check next to the user group you created in step 1.